Founded in 2014 by Abhinav Kumar Gupta, Ankit Agarwal and Ravikant Bhargava, SilverSparro is a technology startup that provides deep learning solutions to businesses spanning from manufacturing to critical sectors such as healthcare and banking. Specialising in areas like computer vision, natural language processing, image detection and classification among others, the company considers industrial automation and artificial intelligence as its core expertise. In Feb 2018, the startup secured a seed round funding of $300,000 from GSF, Shangrila and UHV Technologies, among others. They are also backed by angels such as Anand Chandrasekaran from Facebook; Rajesh Sawhney, founder of Innerchef and Dinesh Agarwal, CEO of Indiamart. Analytics India Magazine caught up with Abhinav Kumar Gupta, founder and CEO of Silversparro, where he shared their journey as startup founders and how the company carved out a niche for itself in the deep learning industry. SilverSparro was founded with an aim to make the best out of newer and emerging technologies like deep learning. Gupta recalls the initial days of the company, when they had all quit their well-paying jobs to dwell into this exciting area. He shares, “I was in management consulting working with top financial companies while Ankit, my friend and batchmate from IIT Delhi was developing WebApps for a Tech startup. At one end we were terribly bored of our regular jobs while on the other, there were technologies like drones, 3D printing, VR, AR and deep learning which were very exciting. We were really inspired by this tech revolution and were eager to dirty our hands”. They left their jobs to explore these areas and developed their first technology in drones. While working on drones they realised that there were no good solutions which could easily analyse huge amount of photographs and videos captured using drones. This is when they came across deep learning. Gupta confesses, “We were so fascinated by it that we dropped drones completely and started focusing on deep learning wholeheartedly”. 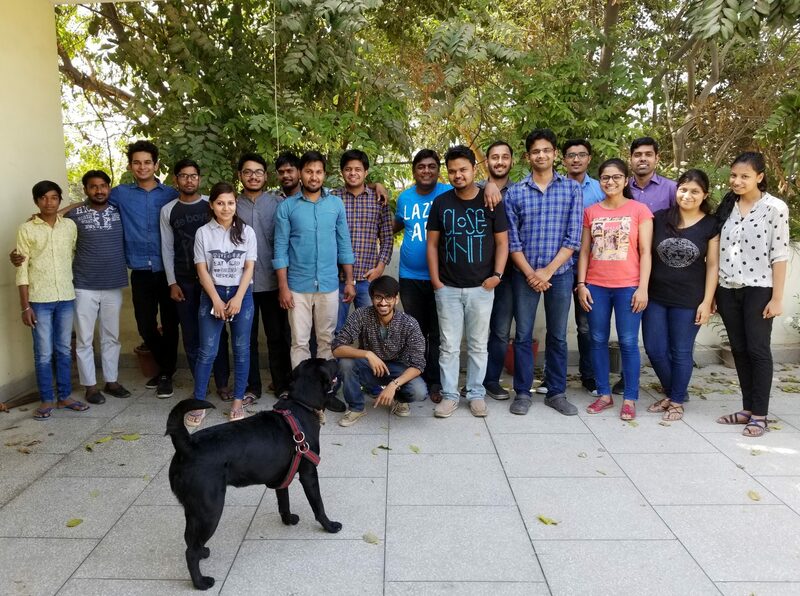 Since 2015, the team has been taking client projects in deep learning and Ravikant Bhargava, their IIT Delhi batchmate has been a part of their team since then. Silversparro provides a host of custom deep learning solutions for its clients in various fields. Describing the startup’s portfolio in deep learning, Gupta says, “Over the past three years, SilverSparro has built core expertise in computer vision use cases using deep learning”. They are also venturing into CCTV video analytics for retail establishments, which is giving them a good traction. Gupta shares, “Earlier, the use of CCTV cameras was confined to security and that too post-incidental analysis. At the same time, all of it had to be done manually. What’s new is that, deep learning has opened a new door for real-time fully automated CCTV footage analytics which can be used for customer demography analytics, analyzing customer behaviour and auditing staff performance”, he said. Using this, the team has managed to check pilferage of material from coffee shops by tracking individual items using cameras. Case Study Of UHV Technology: For this US-based engineering company they built computer vision-based large-scale metal sorting system with deep learning models. Gupta explains, “This basically takes in images of metal pieces on a conveyor belt using a high speed camera, feeds images real-time in to Silversparro’s system enabling us to predict the metal class with over 95 percent accuracy. This is equivalent to sensor-based system in terms of accuracy but way cheaper and has much higher throughput”. Case Study Of CrownIt: For this market research and deals company, they process more than 10,000 receipt images on a daily basis to extract details like date, time, bill number, and line items with extremely high accuracy by fully automating the process. The models that they we have built have been trained on over 30 lakh images and beat Google Vision OCR API in accuracy,” he said. He further shares that for engineering roles, they look for strong aptitude, problem-solving abilities, demonstration of quick learning and ability to work in chaotic environment. Whereas, for research roles, they look for some research experience as well as strong inclination to go into deep learning research for the long term. The SilverSparro team is divided into research and solutions team. While research team is fully focussed on going deep into the use cases by reading up research papers, making sense of data and developing new models, the solution team develop projects by building client solutions and deploying models at scale for the clients. Identifying The Right Problem: There are many problems for which deep learning is not the right approach. There are many problems which can be solved by traditional software development. There are cases when due to hype, enterprises start with the wrong business case. Hiring Talent: Deep learning talent is a scarce and enterprises have an option of building in-house solutions by hiring experts, engaging expert team or using APIs. Unless enterprises are deep tech companies, I always recommend outsourcing the task as talent is really expensive to hire and they leave quickly. Data: Deep learning and machine learning approaches need data to train from. Enterprises need to make sure that their data is organized properly and easily available for developers to build models on. Still overcoming these challenges, the SilverSparro team is aiming to scale-up their CCTV video analytics platform in India and globally for various retail clients in the coming years. “We are also hiring and looking to triple our engineering and research strength by the end of this year”, said Gupta. Since the entire field is moving fast and there are other companies that are trying to catch up, the team self-admittedly shares that they have to pull up their sleeves to stay ahead of the game. “We believe that the best way to win is to focus really hard on narrow use cases and develop research expertise in fundamental deep learning approaches. Many of the frameworks and hardware required will continue to be built up by the existing giants – but there is huge scope for startups like ours to solve unique problems and develop own niches”, he said. 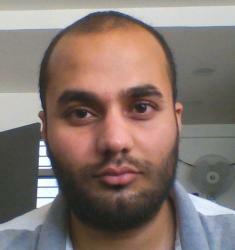 Gupta strongly believes that their strong and deep focus on research specifically on narrow computer vision use cases would set them apart. They are also closely partnering with the market leaders for pilots and solution development to stay ahead of the game.